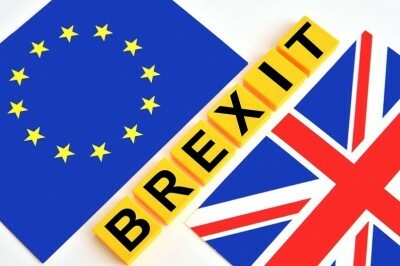 While the shattering Brexit vote of June had a deservedly chilling impact in Brussels and other European capitals, the grey suits have been busy pushing various lines on the consequences Britain faces for leaving the European Union. The technocrats in Europe will be making sure they make things as difficult as possible. Back in London, rhetoric and deflection is in heavy supply. Various multinational companies find the notion of uncertainty certain economic death. Japanese and US firms, for instance, have sought clarity on what passporting arrangements will exist in a post-Brexit order. So far, they have gotten little other than poorly minted assurances. The defect of those assurances lies in the inability on the part of officials in London to know exactly what the EU will do. The EU, in turn, is also wondering what that position will manifest. To make war, it is always wise to know the strategy of your opponent. As the Economist reports, the view in Europe on Britain’s logistical quandary has become “the sexiest file in town”. It is daring, it is challenging, and it seems to some, near hopeless. The hopeless element is not incurred because of pessimism; it merely seems that all sides are having each other on, mixing the bag of seduction with that of indecency. Everyone is accusing the other of feeding uncertainty. EU officials have been accused of creating it for not clarifying the position of British expats in Europe; Donald Tusk of the European Council has said in kind that the British decision to leave the EU was the cause of all the headaches, in turn causing EU expats in Britain troubling concern. “Would you not agree,” he claimed supremely in a note released on Twitter, “that the only source of anxiety and uncertainty is rather the decision on Brexit?” When officials need a worthy scapegoat, the unruly outcome of the democratic will always be there. Theresa May’s government has been telling the British public that there will be no “soft” or “hard” Brexit, but a “red, white, and blue Brexit.” That particularly statement, made during a visit to attend the Gulf Co-operation Council, was a weak retort to the mooted idea that a “grey Brexit” was circulating as an idea. The idea of a more ambiguous greying Brexit has its roots in the offices of the chancellor, Philip Hammond, and Brexit secretary, David Davis. (The May cabinet these days is an uncertain one.) In what started looking like projections from a set of colour crayons, variants of Brexit were being thrown around from the lightest form (“white Brexit”) which would supposedly not defeat the referendum’s aim while keeping Britain in the EU market system, to that of the darkest (“black Brexit”), which would terrify those providing financial services. The greyer variant would entail an analogous arrangement with that of Canada: limits on immigration favouring skilled migrants would take place alongside access to various parts of the free zone. On that score, the Labour opposition did, at the very least, secure a promise from May that her government publish the Brexit plan before the formalities of Article 50 of the Lisbon Treaty are triggered. That plan is bound to spawn a new industry, creating specialists on how to evacuate from a tightly bound, financial and social compact. Barnier’s promises have verged on threatening, though they have been delivered with tepid calm. For one, he is busying himself identifying a common position with all of the 27 remaining members in the EU towards Britain. This should be completed by the end of January. Barnier might have also reflected on the other side of the European problem: the populist challenge to grey, bureaucratic technocracy; the need for institutional reform that does more than utter financial messages and praise the God Market or Civil Servant King. The May government may well be struggling with its strategy on exit, but the mandarins on the continent should be equally troubled by a strategy that is failing to curb a far deeper, inner rage.